London: India continued to torment Pakistan in the Hero Hockey World League Semifinals, hammering the arch-rivals 6-1 in a 5th-8th place classification match, here on Saturday. Ramandeep Singh (8th, 28th) and Akashdeep Singh (12th and 27th) struck a brace each while Harmanpreet (36th) sounded the board in the third quarter in India's comprehensive victory in the match. The win is India's second in a row over Pakistan in the tournament after a 7-1 result in their first match. The Indians will take on Canada in the 5th-6th place match on Sunday. London: An inconsistent India wasted chances galore to finish a disappointing sixth in the Hero Hockey World League Semifinals after being stunned 2-3 by lowly Canada here on Sunday. It was India's second upset defeat against a lower-ranked side in the tournament after having lost to Malaysia in the quarterfinals. Harmanpreet Singh (7th, 22nd) converted two of India's nine penalty corners. By virtue of this win, Canada not only finished fifth in the tournament but also qualified for next year's World Cup, to be held in the Indian city of Bhubaneswar. 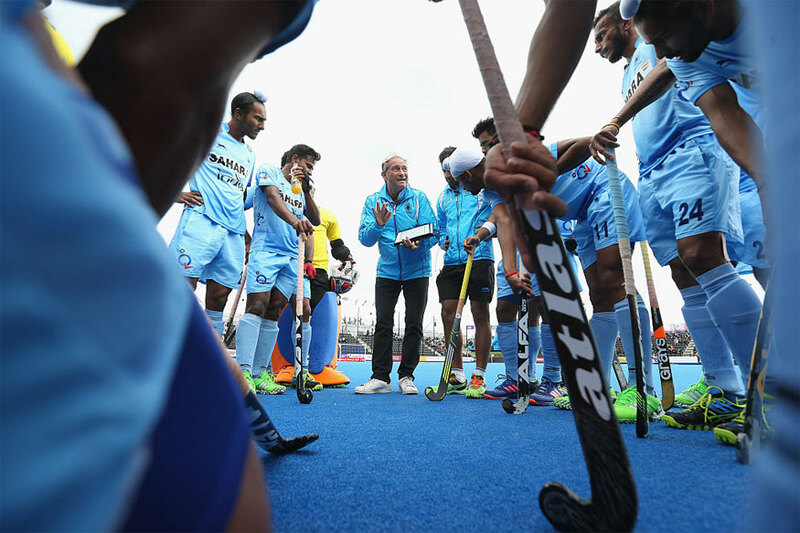 The loss, although, didn't deter sixth-ranked India's qualification to the Hockey World League Final, to be held later this year, and the World Cup as they are already assured of places in both the events by virtue of being the hosts. In the second quarter, the Indians secured their third penalty corner but Harmanpreet's low flick was saved by goalkeeper Antoni Kindler, who was brilliant under the Canadian goal today.